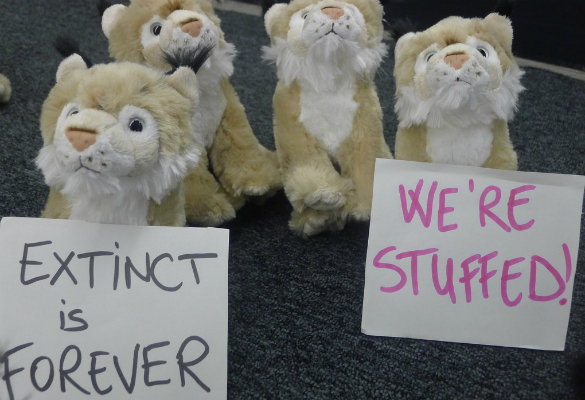 A delegation of 20 lynx from Mavrovo National Park in Macedonia today occupied a corridor in the Polish National Stadium in Warsaw, where the EBRD Annual General Meetings are taking place 14-15 May. 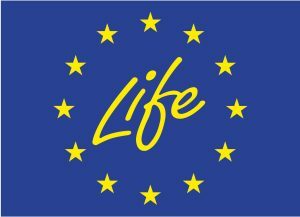 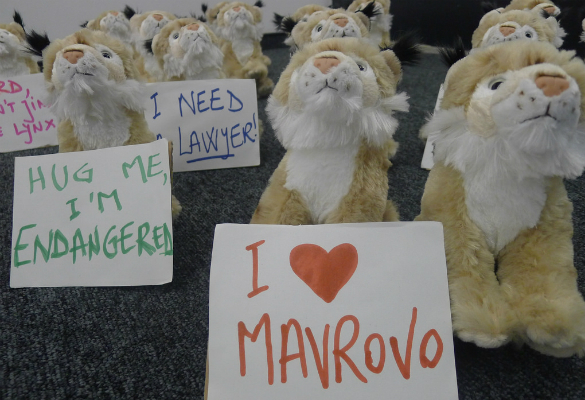 Their message: “EBRD, don’t finance the Boskov Most dam, as it will destroy the forest in which we live and eventually kill us.” The 20 delegates from Mavrovo Park constitute almost half of the little over 50 lynxes which still survive in the park today (the Balkan lynx is an endangered species). 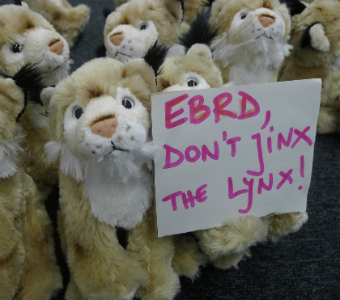 At the stadium, the tiny lynxes held banners which said “I need a lawyer!”, “Extinct is forever”, “EBRD, don’t jinx the lynx”. 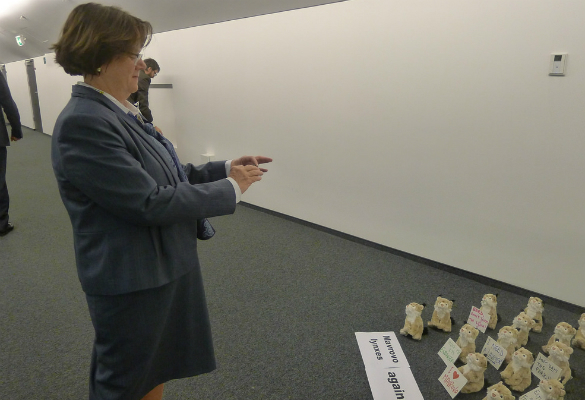 Participants in the annual meetings, including EBRD staff, representatives of governments and business, took pictures of the lynx which they deemed “adorable” and, most importantly, heard their story. 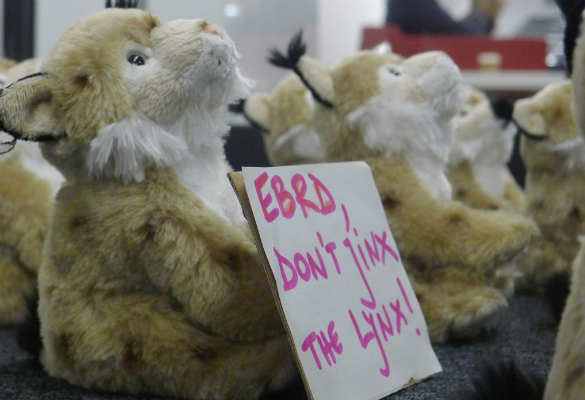 The lynx are now returning to Macedonia with the hope that the EBRD will make the right decision on Boskov Most: withdraw financing.